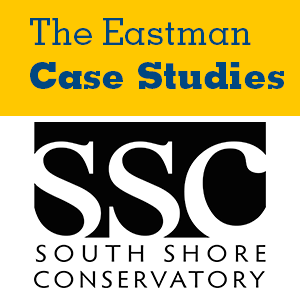 Founded in 1970, South Shore Conservatory is the largest community music school in New England and one of the fifteen largest organizations of its kind in the nation. With two campuses located south of Boston, Massachusetts, the conservatory serves over 4,000 students annually and is supported by a budget of nearly $5 million. One of South Shore Conservatory’s key access programs, ImagineARTS, is an early intervention, literacy-based arts program, has grown exponentially since its launch in 2012, but now faces the question of how to wield its unstable budget toward sustaining and funding future growth. After reviewing a short history of the organization and an overview of the ImagineARTS program, readers will evaluate two funding scenarios that are being considered by the SSC leadership team to ensure the long-term prosperity and future growth of the program.